Today I’ll be starting a new ongoing series that I’m entitling Tell Me Something I Don’t Know. Here, I’ll be writing about where my ideas come from, specifically focusing on my second novel, The Falling. You might think of it like it were a DVD commentary track, as I’ll be (hopefully) going in-depth and chapter by chapter discussing the origin of every detail along the way. My hope is that Tell Me Something I Don’t Know will help writers realize where ideas are found (Spoiler Alert: they’re everywhere!) and it may be a great resource for some of you who have enjoyed my writing and want to know more. I shouldn’t have to warn those who haven’t yet read the book, but there will be SPOILERS APLENTY! Let’s start with the actual concept of the novel. THE FALLING  tells the story of four friends who’ve grown up together, having moved to New York from Seattle upon graduating from high school. The book follows all four characters 11 years after their move and 10 years after one of them changed his mind and returned to the west coast. The Falling examines their relationships, loves, careers and decisions they’ve made in their lives, focusing specifically on their lowest points: their tragedies, their mistakes and their regrets. Personally, I love a book that mixes humor, relationships, workplace hijinks and city-wide exploration (specifically New York). I love moments of melancholy and characters who feel the world is against them. I enjoy the mentioning of things that are dear to me (comic books, a good cup of coffee, ice hockey, etc.). I like a helping of meta-fiction with my contemporary fiction. And I love the interactions of great characters who all have their own thick layers of history. So this is what I focused on while plotting The Falling. Each of the four characters are – in most ways – representations of certain aspects of myself: Tommy represents my dreams; Kate represents my raw emotions and recklessness; Jesse represents my creative side and optimism; and Patrick represents my analytical side and maturity. All of them go through moments of sadness, which has always played a key role in my life. Depression is very common among artists and writers and was no stranger to me growing up. The key to this story for me was harnessing some of those experiences and feelings from my past and transplanting them into my characters. As part of my character research I conducted “interviews” with each of my main characters. I’d heard of this being done by one other person and it struck me as being weird, but I tried it anyway and it turned out to me a game-changer for my characters. I knew a bit about them all going into it, but by sitting each of them down individually into a Word document I was able to just ask them questions; anything that came to mind. By shutting the analytical part of my brain off they would eventually just answer my questions and spawn new ones I hadn’t thought of beforehand. Some authors claim that their characters will begin to take over their novels and act on their own, doing things the author had not intended. This was along the same lines but it was never part of the actual story: I was just getting to know them. This is exactly how I’d always felt. In many ways I am most like Tommy, but I think that’s fair if he’s going to symbolize my dreams. After all, who doesn’t want to write about their dreams? 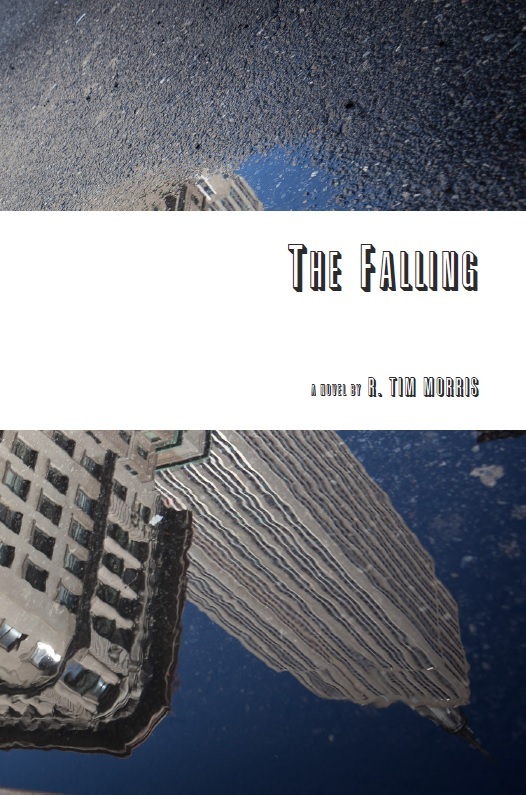 Writing a book about New York (and I really mean “about”, not just “takes place in”) was something I’ve aimed to do since I began writing, and I think The Falling comes pretty close to where my intended target had sat. I’m exploring the neighborhoods of Manhattan that I love and sprinkling enough details within to really bring the environment to life (which was not easy considering I don’t live in New York, and haven’t been back there since 2007). The Falling was initially written in the 3rd-Person POV, but I made a decision close to the end of my first draft to switch the POV to 1st-Person. More like Omniscient 1st Person, actually, due to the fact that I decided to make the city itself act as my narrator. But the “I’s” and “my’s” are sporadic enough that the reader should never be bothered by questions like, “who the hell is telling this story, anyway?” I never outright say New York City is the narrator, and I don’t think I need to. The novel just flows naturally regardless of any POV concerns. Juggling four main characters was also difficult, and since each chapter more or less highlights one of them at a time (while simultaneously involving the other three somewhere off-screen) I had to plan the timeline of the entire book out carefully. Where is Tommy when Kate is talking to Jesse? What’s Patrick up to while the other three are scheming against him? Where’s Patrick’s young son during all of this? What time do they work at their jobs? Can they realistically meet one another when I need them to and still work at various hours of the day? Not only that but the story skips ahead by a week at three different points in the book so each character should have had enough to do during that time, and enough happening to them to believably propel their individual stories forward. I created a multi-layered spreadsheet where I broke down everything that was happening in each chapter, and then breaking it down further to distinguish exactly what each character was doing in each chapter. Plenty of scenes were still deleted or moved around during the writing process, but the spreadsheet definitely helped me. Well, this is a good enough start I think. From here I’ll dive right into Chapter One and we’ll see where all of this leads. This entry was posted in My Writing, Tell Me Something I Don't Know, The Falling and tagged Jesse Classen, Kate Prince, Narrators, New York City, Patrick Kohn, Tell Me Something I Don't Know, The Falling, Tommy Mueller, Writing. Bookmark the permalink.